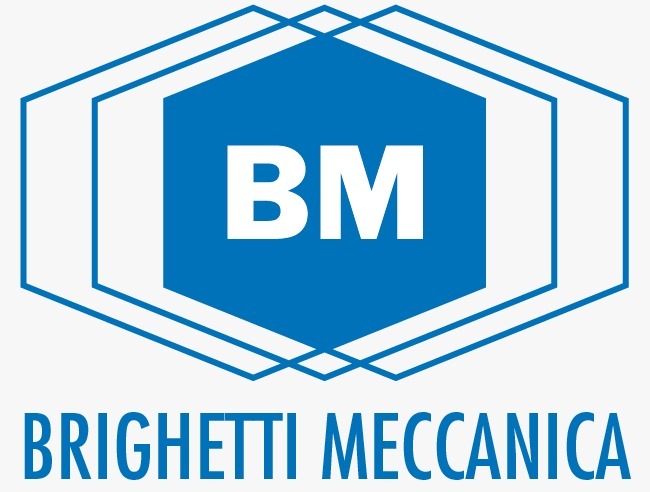 The BM Broaching head is a device that, thanks to the oscillating movement of the broah itself, allows for the creation of any polygonal shape (square, hexagon, torx, splined shafts, etc. ) within a blind or through cavity. 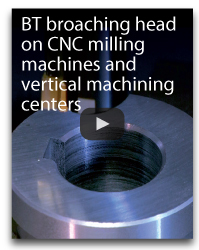 With the addition of the adapter, external profiles can also be created using the same BM broaching head. the thrust force required is extremely limited, as it is sequentially, concentrated upon a small part of the broach, and not the entire profile. 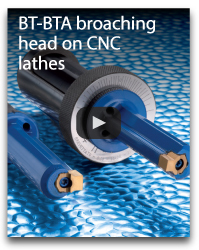 The BT/BTA broaching head system has been specifically designed to create keyways in cylindrical or tapes holes on CNC machine tools. 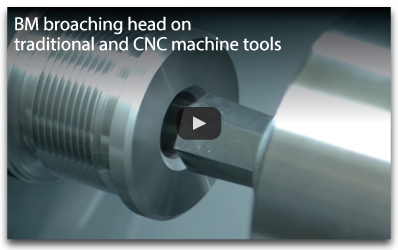 This specific usage application eliminates the need for slotting machines while at the same time ensuring maximum precision, as the broaching process is insereted within a sequence of programmed operations, thus eliminating the need for “reworking”.